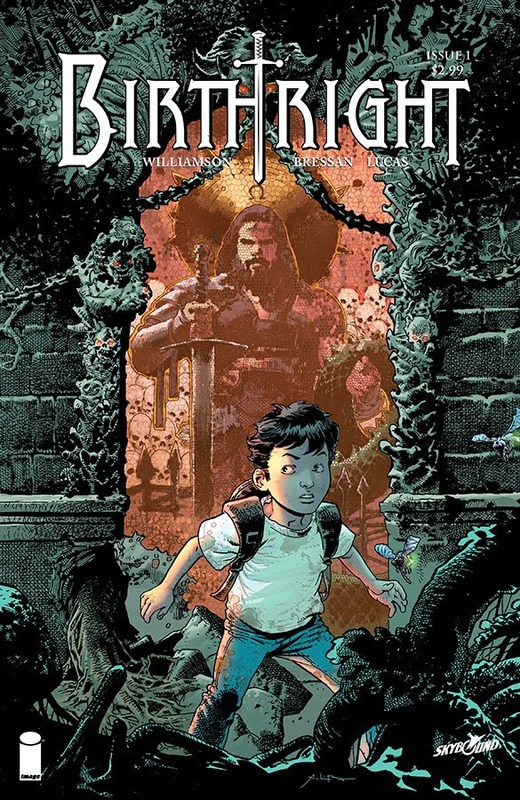 Creator/writer Joshua Williamson (NAILBITER, GHOSTED), artist Andrei Bressan and colorist Adriano Lucas present BIRTHRIGHT, a bold new fantasy adventure from Skybound/Image Comics, debuting this October. What started as a game of catch in the park between father and son turned into a parent’s worst nightmare. For the Rhodes family, losing their son was the most devastating thing that could’ve ever occurred… but it couldn’t prepare them for what happened when he returned. Skybound’s newest original series will turn fantasy into reality in this oversized debut issue. Williamson explained BIRTHRIGHT’s origin predates both his current hit horror series: "People have asked me if I get worried about being typecast. But I knew BIRTHRIGHT was coming. Even though it opens with what I think is one of the scariest things imaginable in real life... it's a fantasy adventure book at heart. And one Skybound and I have been working on for a long time. Before GHOSTED even came out. “As a fan of adventure and fantasy stories as a kid... it was always great seeing these young kids going on amazing journeys to far way magical lands. The Lion, the Witch and the Wardrobe, Peter Pan, Explorers, The Neverending Story, Wizard of Oz, Flight of the Navigator. But there were never any real consequences to those adventures... What happens when you come home from this great adventure? What do you do next? How do you go back to normal life? “Those thoughts lead to my obsession with the idea of destiny. If your whole life has been about one moment... one thing that you had to accomplish... what do you do after it is over? How do you go on knowing that the main reason you were born is finished? “That's what Birthright is about: what happens after the adventure. BIRTHRIGHT #1 arrives in stores on 10/8, as an oversized 40 page issue, available for only $2.99. It can be pre-ordered with Diamond Code AUG140536.